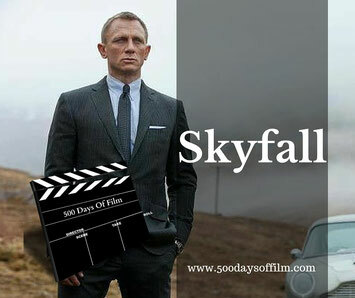 Ahead Of The Next Bond Installment, 500 Days Of Film Reviews Skyfall And Wonders Will Spectre Fall Victim To Skyfall’s Success? After his assignment goes catastrophically wrong, James Bond (Daniel Craig) retreats into the shadows. Everyone at M16 to believes him to be dead and significantly damaged - both physically and mentally - Bond is just fine with that. However, when M16 comes under attack, Bond returns to help M (Judi Dench) track down Silva - a man from her past who has a terrible score to settle. Some movies are so good that they become the standard by which all other films in their genre are judged. They become a point of reference, a work called to mind in countless movie discussions, debates and reviews. These films set the bar. They raise the standard. They become almost untouchable. And, well, you certainly wouldn’t want to try to follow them. This is what I am wondering as I watch Skyfall, the 50th installment in the James Bond series. I am thinking, how could Spectre ever beat this film? How could it compete? Will Spectre become a victim of Skyfall’s success? Action packed, visually stunning and with quite the best adjustment of shirt cuffs in cinema history, Skyfall was a critical and box office phenomenon. It ticked all the boxes for Bond fans and general audiences alike. Directed by Sam Mendes, Skyfall managed to tell a compelling story (giving us tantalisng details of Bond’s backstory) while creating exciting, adrenaline fueled action set pieces. This film is smart and moving, entertaining and humourous. It gives us a fantastic new villain in Silva - someone who pushes Bond to his limit and whose grievances actually made sense. Very best of all, Skyfall pushes M to the fore - more than anything this is her story. And she is phenomenal. I love Skyfall. It is my favourite Bond film I think. It just makes me worry for Spectre. What do you think about Skyfall? Can we hope Spectre will be even better?